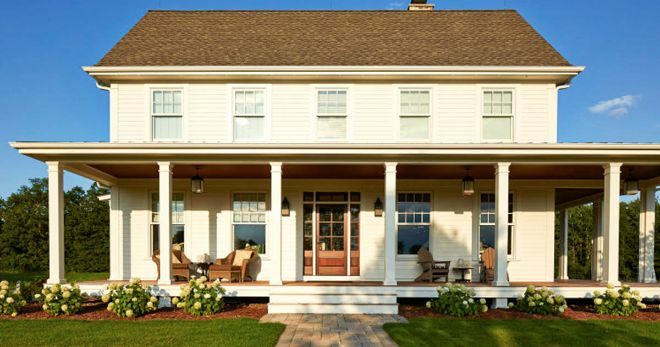 The juxtaposition of old and new styles gives this charming home the best of both worlds -- it offers traditional stylings coupled with modern amenities. 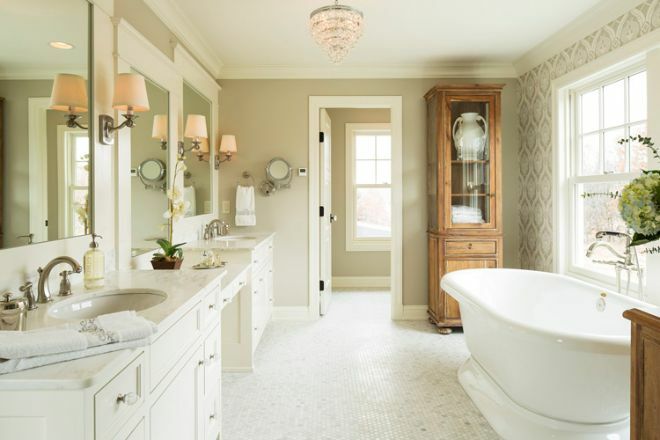 A freestanding bathtub and polished hardwood floors provide the house with a feeling of elegant comfort, and the large yard provides plenty of privacy and breath-taking views. 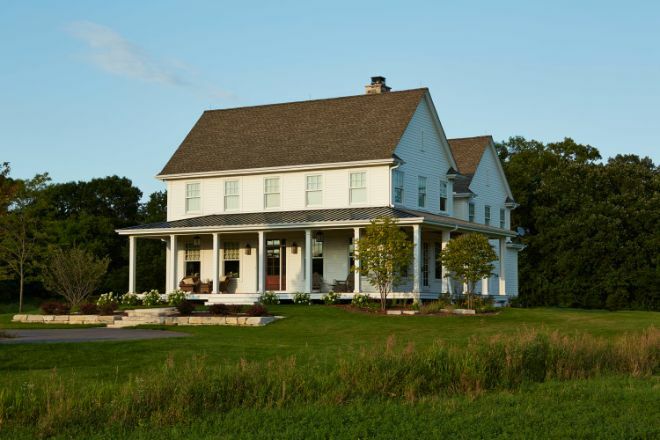 Hendel Homes calls it the "Modern Farmhouse," and that philosophy permeates to every inch of this plentiful abode. Let's take a closer look. The outside of the farmhouse has a traditional geometric shape, and the pillars lining the patio give the exterior a sophisticated presence. The interior is stylish -- but it still remains tastefully simple. 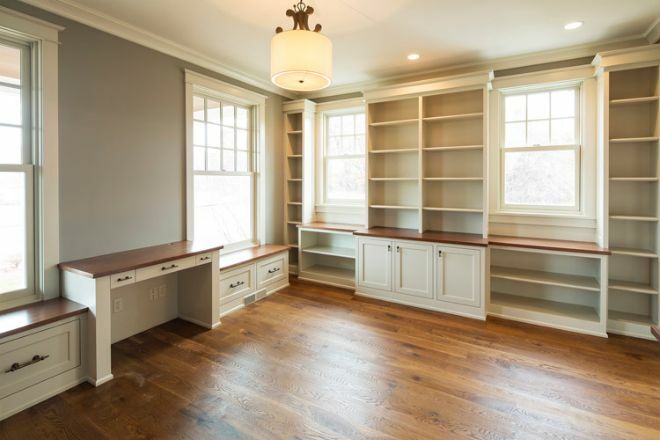 Floor-to-ceiling shelves allow for every inch of the room to be utilized. 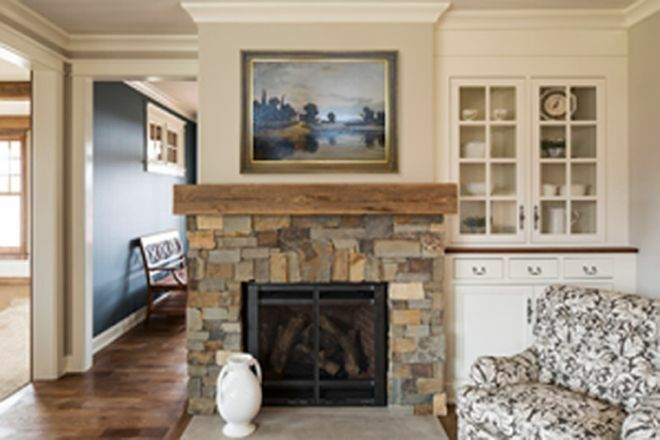 A beautifully constructed stone fireplace serves as an anchor for the family room. 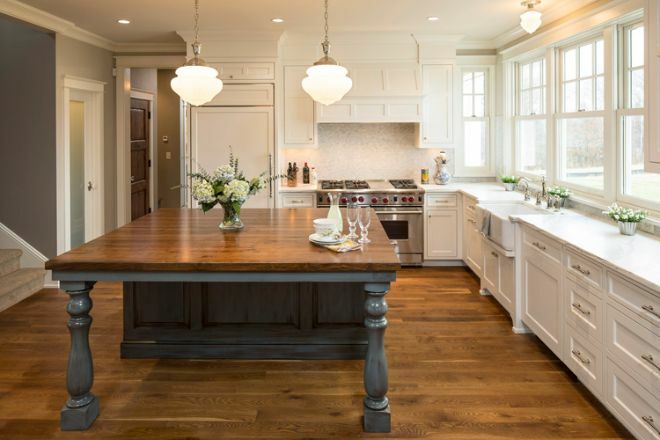 Meticulously clean white countertops and a wood-topped island attract the viewer's eye in the kitchen. 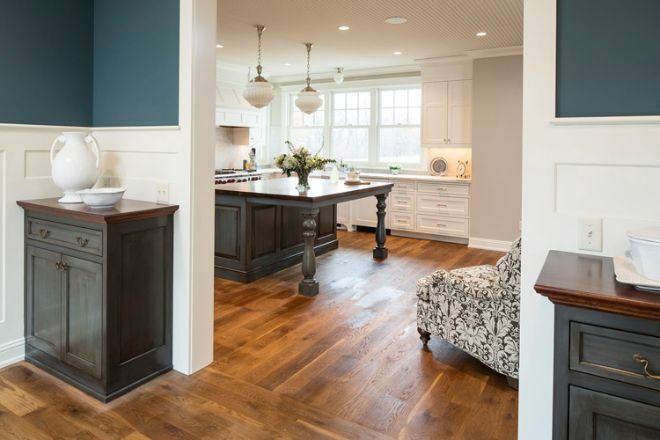 The undercarriage of the island allows it to double as a dining table for a large family. 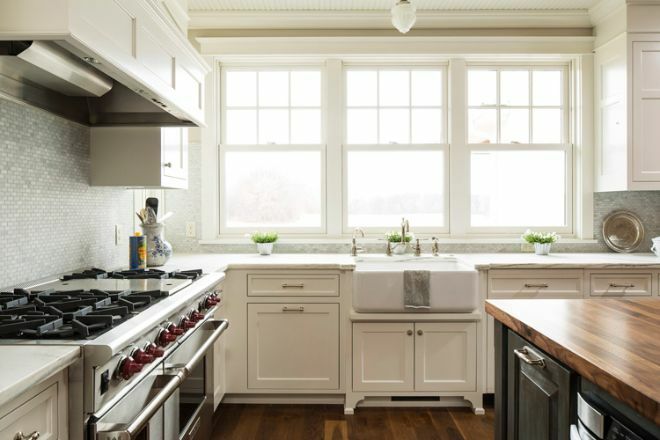 Three large windows give the kitchen wonderful natural light. The master bedroom features double sinks and a lovely freestanding tub. A tall wooden cabinet gives the bathroom a flair of rustic charm. Another view of the bathroom, showing off the marble-tiled shower. The farmhouse is surrounded by a ring of trees, giving the illusion that you're isolated in a private country paradise. 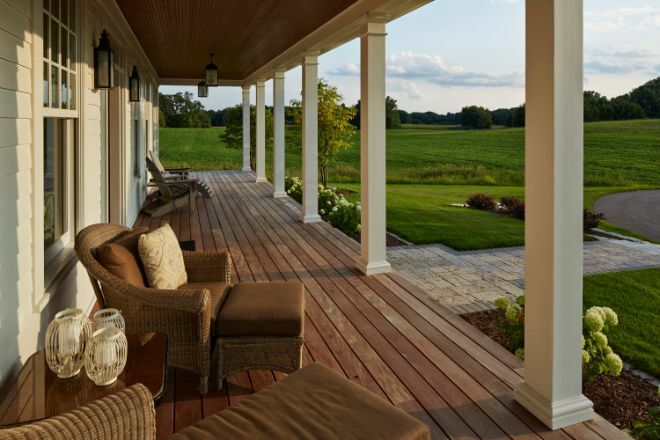 It's hard to argue with the front porch's remarkable view -- imagine sitting there and drinking a cold glass of lemonade on a hot summer's day. 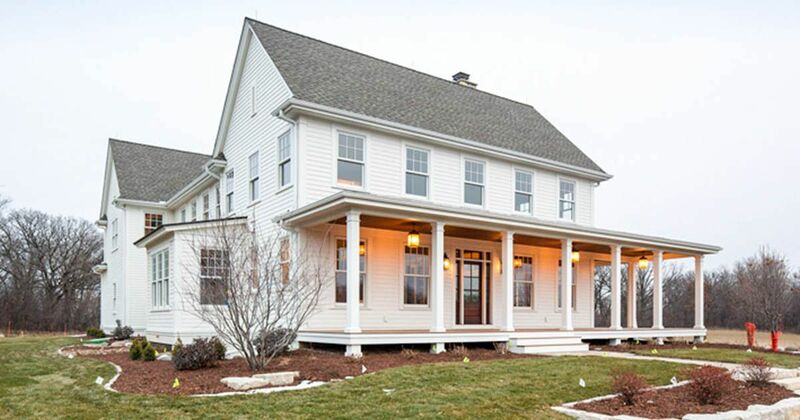 Do you think this is the perfect modern farmhouse? Leave us a comment and let us know! This decor enthusiast took her cookie cutter house and turned it into a farmhouse style dream home!